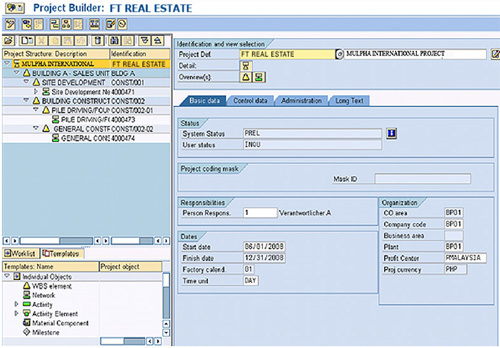 SAP Real Estate Software Philippines | Fasttrack Solutions Inc.
Property management in real estate is quite possibly the most challenging part of running a real estate business if you do not have the proper real estate software to use. This involves the management of personal property, equipment, tooling, and physical capital assets gained and used to build, repair and maintain end item deliverables. An integral part of real estate software should help you create and manage all objects needed to manage your real estate business — business entity, property, building, rental unit, rooms. It assists you with all of the ongoing processes from creating the lease-out to the rent adjustment, rental accounting, rental settlement through to contract notice, and the final rental unit inspection. It gives you good support on third-party management of real estate through to the settlement of fees or the costs and owner profits. It provides credit view of the rental process for controlling the cash flows to the landlord and incoming expenses. It evaluates and reports real estate master data and postings to help you with management decisions and supply end users with the information they need. Real estate management system, therefore, should cover planning and execution of planned or unplanned maintenance, modernization measures, and new development in the real estate industry. Another feature that should be included in an efficient real estate system is ordering of materials for maintenance of the energy supply or the maintenance of real estate. A good system should also contain proper planning of a project for complex maintenance and investment measures while observing commonly experienced risk factors. An additional factor that can give you advantages by having real estate software is its ability to interface fixed asset management for value-based management and treatment of fixed assets. By having the SAP software for real estate developers, you can also integrate data, not only with your asset management, but also with accounting and billing so it’s also like having an integrated accounting software. You can monitor all of your revenue through the ERP system to see to it that you do not miss out on any transactions that occur, as well as the money going out. Purchase orders, inventory of assets, and processing of sales to after sales are easily traceable through generation of reports to ensure the quality of all your transactions, as well as your business operation, which in turn, help you and your clients.